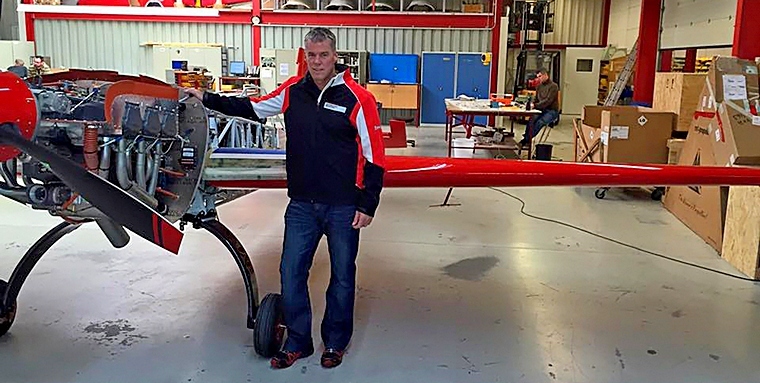 The waiting is over for National Unlimited Aerobatics Champion, Nigel Hopkins after his unfortunate mid-air breakup of his MX2 in France while preparing for the FAI world aerobatics championship. 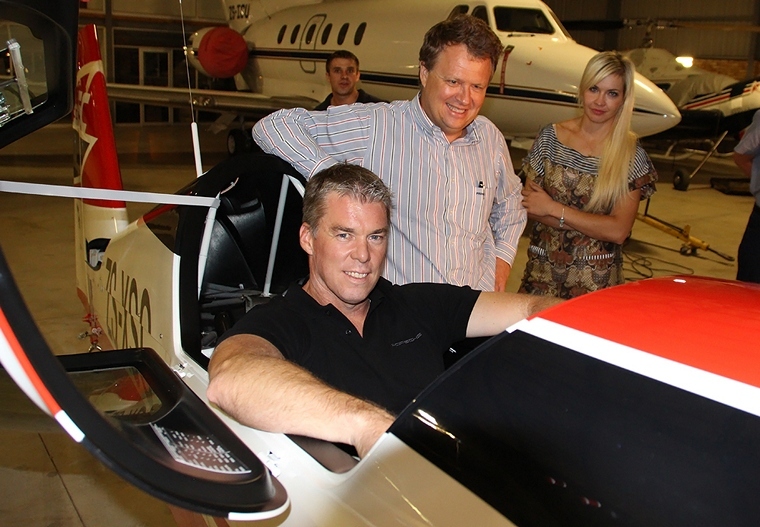 His brand new Extra 330SC has arrived. Nigel's order was fast tracked as an aircraft that was already in the process of being built was cancelled by the someone else, which meant his waiting period was significantly shortened. Nigel visited the Extra factory in Germany in January to inspect the progress of his new “baby”, he was assured that his aircraft was taking priority and they would tirelessly work to get her ready as soon as possible. Nigel is no stranger to the Extra range of aircraft he has flown many of them in the past and was the proud owner of an Extra 300. 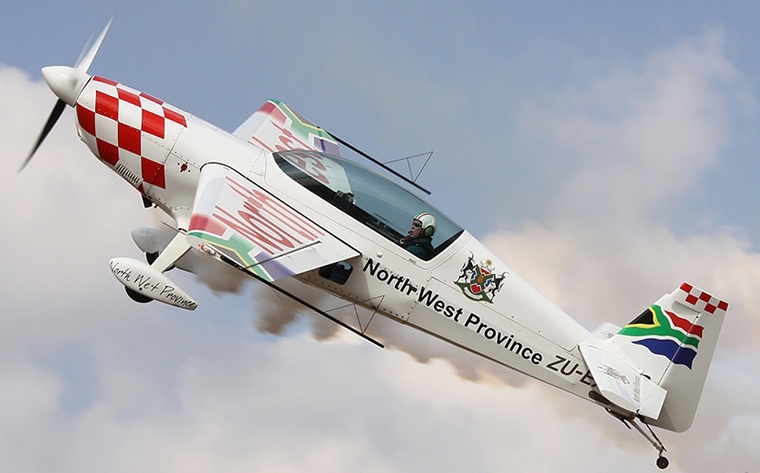 In the early 2000's he was a member of the “Team Northwest” aerobatics team which was a regular display on the South African Airshow circuit. This Extra is slightly different though, it is the first 330SC in the country. 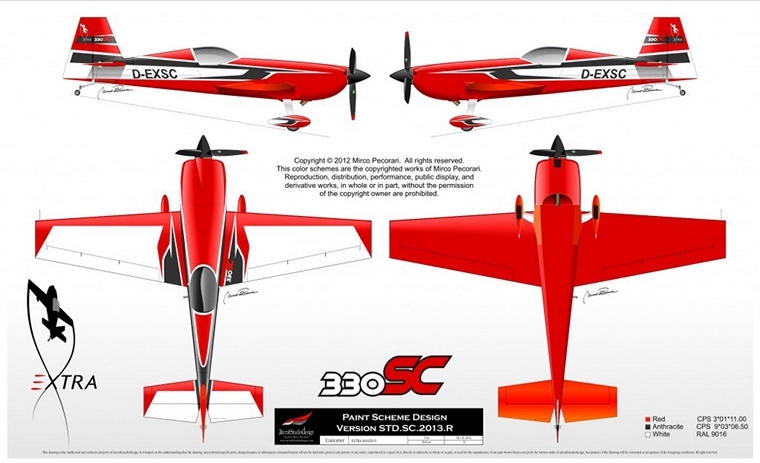 The Extra 330SC is specifically designed for competition aerobatics and has a taken the world aerobatics scene by storm. Extra 330SC's have taken top honours in the FAI World Aerobatic championships in 2009, 2013, 2014 and 2015 and the FAI World Games in 2015. 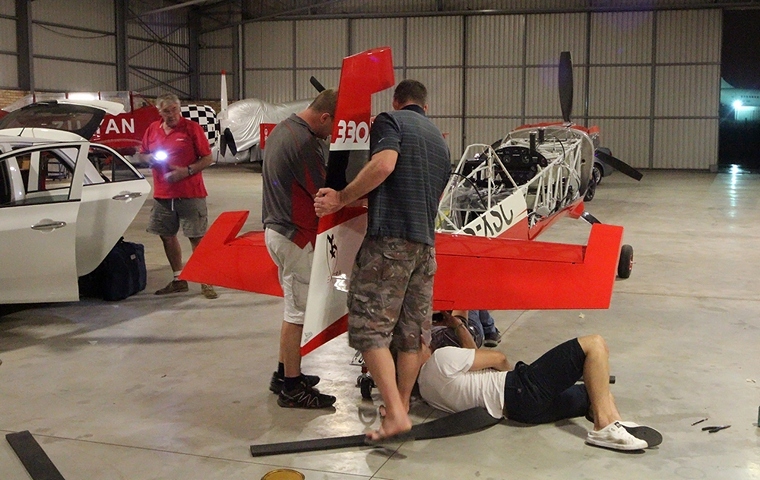 Nigel will be competing in the 2016 FAI World Championships which will be held in South Africa; hopefully he will make it four years in a row for the Extra 330SC. 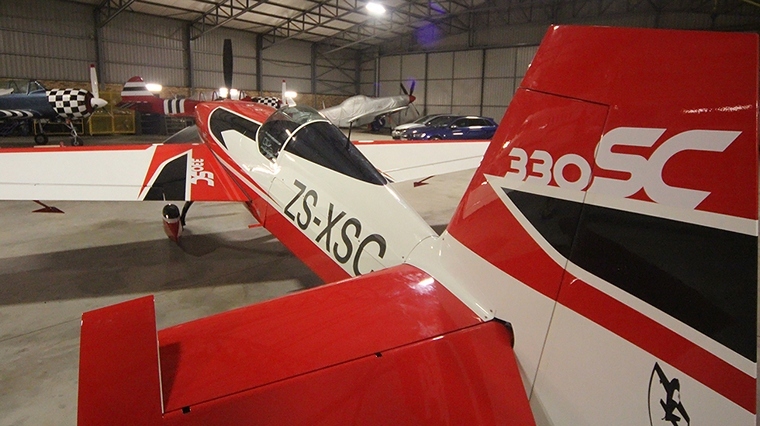 ZS-XSC was shipped by sea from Germany by KWE Kintetsu World Express and arrived in Durban on the 14 March three weeks after leaving the factory. 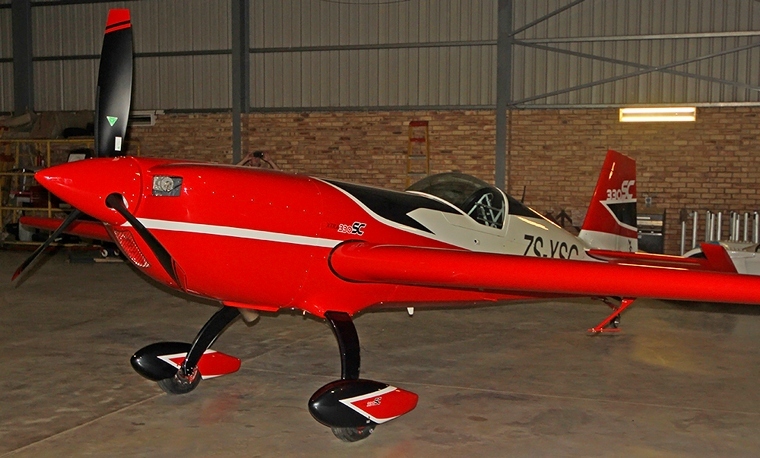 Menno Parsons from Master Power Technologies transported it by road to Rand Airport and also made hangar space available for the re-assembly. Dorrien Andrews at Flightsure took care of the transit insurance for the trip. The assembly was interesting as the aircraft sports an American power plant, Imperial system and the rest of the aircraft is metric. These minor difficulties were quickly overcome by Derek, Nigel's Dad and Jason Beamish who led a team of helpers to re-assemble this amazing machine. Nigel hovered around like an expectant father itching to get her in the air; unfortunately his first flight will be on hold until all the necessary paperwork and inspections have been completed by the SA Civil Aviation Authority and as this is the first 330SC in the country this may take a while. The Extra 330SC at first glance looks very similar the 300 series but on closer inspection it becomes evident that this is a totally different animal, with larger control surface greatly improving the manoeuvrability and aerobatic performance and many other improvements.